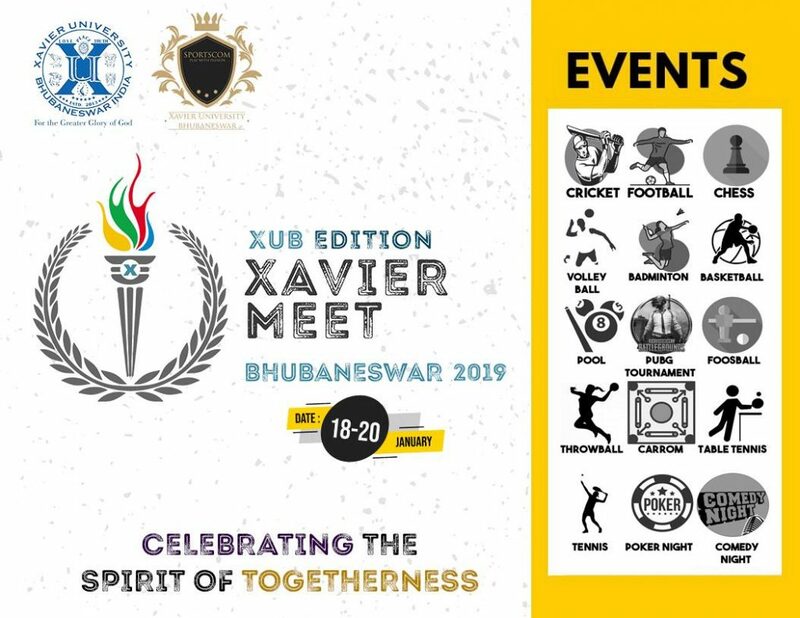 Xavier University Bhubaneswar is all set to host the very first edition of Xavier Meet – a sports meet organized especially for the Jesuit family, which is going to be held on 18th-20th January 2019. The sports fest is planned as a rotating event, where every year, a new Jesuit B-school will host the event. This year, XUB plans to conduct many events, ranging from PUBG to poker night and from cricket to foosball, with an amazing comedy night planned, to end the Sports Extravaganza with fervour and warmth. It will see the top Jesuit B-Schools participate. The Jesuit tradition of education is directed towards the integral development of students, while sports enable individuals to grow by working as a team and experiencing the sportsman spirit. By launching Xavier Meet, an endeavour to encourage the spirit of sportsmanship and provide a platform to the young community across B-schools to explore their talents in various games and sports.